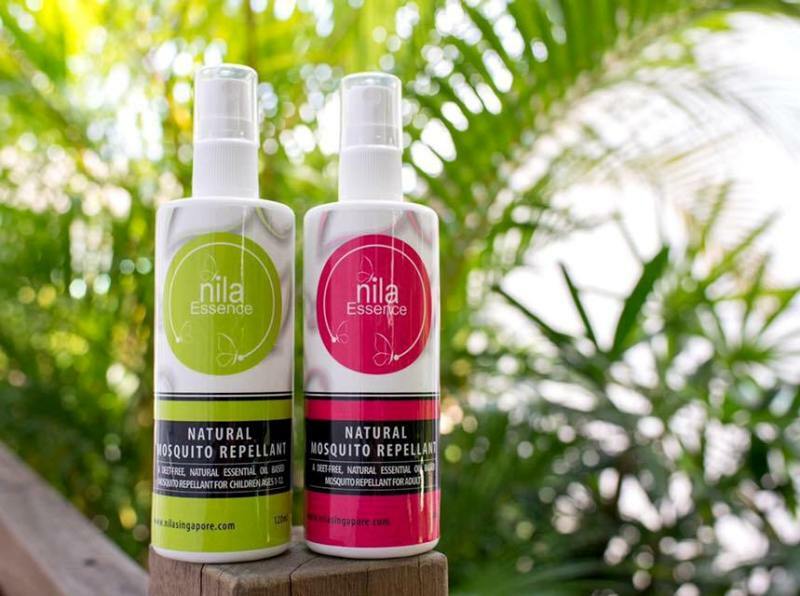 Prevent Dengue Fever with Nila Natural Mosquito Repellant! You are here:Home » Promotion / Events » Prevent Dengue Fever with Nila Natural Mosquito Repellant! Transmitted by the bite of an Aedes mosquito infected with a dengue virus, Dengue Fever is a painful mosquito-borne viral disease that is widespread in Singapore and other tropical countries. Dengue fever symptoms include fever, intense headache, body aches, nausea, vomiting, skin rashes etc. There is currently no vaccine to prevent dengue fever. The best way to protect yourself is by using repellents such as Nila Natural Mosquito Repellant to repel mosquitoes, and that reduce the chances of being bitten by infected mozzies. The use of household pesticides, on the other hand, kill mosquitoes effectively upon direct contact. Outdoor parties like BBQs are fun but they are often ruined by mosquito buzzes and bites. 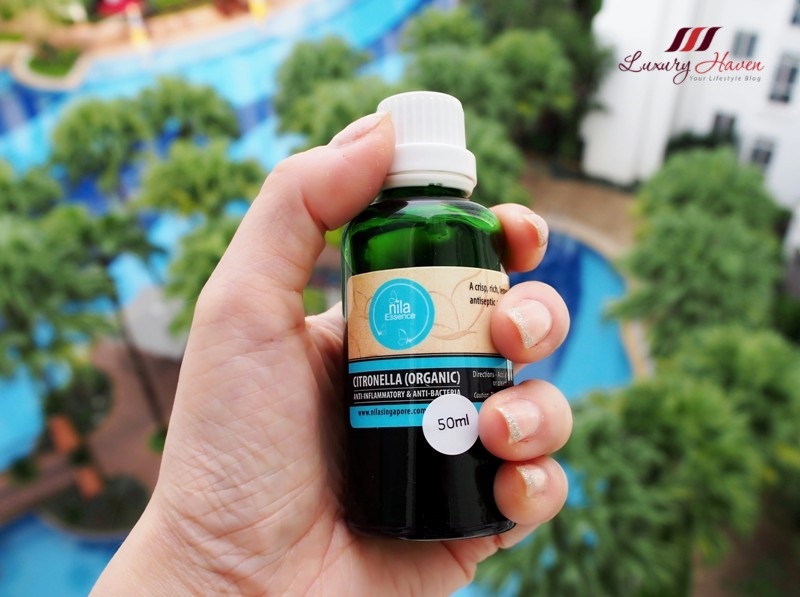 Comes in both Adult and Children version, the Award-Winning Nila Essence Natural Mosquito Repellant ( 120 ml ) SGD 32, has recently won the 2016 Best Organic Natural Products organised by Parent World! Loaded with 100% Natural and Pure Essential Oils, this natural mosquito repellent also doubles up as a moisturizer and smells great too! No parebens, no artificial colourants, and no chemical fragrance! An innovative and effective mosquito repellent based on a synergistic blend of natural insect repelling essential oils as well as Vanilla, Grape and Jasmine Extracts that work to repel mosquitoes, by interfering with and inhibiting the carbon dioxide and body odour seeking receptors of mosquitoes, thus lowering the incidence of mosquito bites. Nila Natural Mosquito Repellant is a skin-friendly formula that provides protection in a comfortable, fast absorbing base. Lemongrass, Citronella, Geranium and Lavender Oil - Natural and effective insect repellents. Vanilla Extract - Helps slow down the evaporation rate of essential oils as they evaporate quickly, thus making the natural repellent last longer. Methyl Anthranilate - A compound approved by the US Food and Drug Administration ( FDA ) for use as a food additive. Repels mosquitoes from feeding on humans by interfering with and inhibiting the carbon dioxide and body odour seeking receptors located in mosquitoes. Methyl Jasmonate ( Jasmine extract ) - A signalling compound produced by plants as a defence mechanism, it has been shown to have mosquito repellent properties. Although the formulation of these products are with ingredients shown to be considered safe, expectant ladies are recommended to use the children's version. Besides using the Nila Natural Mosquito Repellant to keep those nasty insects away, another way of keeping mosquitoes at bay is by diffusing repellent oils. Every home should have a good diffuser to reap the benefits of essential oils. Diffusers help to disperse the essential oils into the air by breaking them down into micro molecules then projecting them into the air to fill a room. To get rid of mozzies, you can use essential oils such as Citronella. A crisp, rich, lemon like oil, Nila Essence Citronella Organic Essential Oil at SGD 28 ( 10 ml ) and SGD 112 ( 50 ml ), is an excellent oil to use as an insect repellent. Citronella essential oil also has anti-inflammatory, antiseptic and anti-bacteria properties. All you need is a few drops into your diffuser with water, and a bottle lasts a long way. 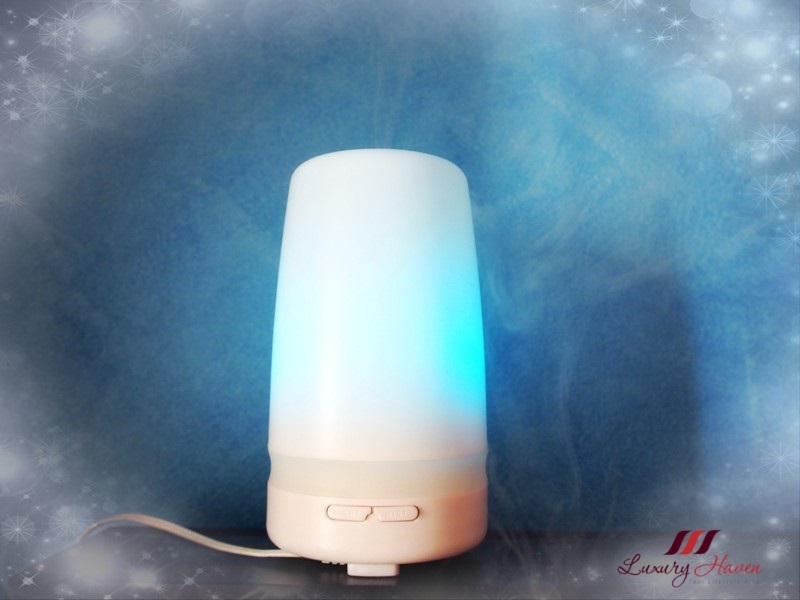 Learn more about Nila's Ultrasonic Aroma Diffusers and their health benefits! Quote LUXURY HAVEN for your Special 15% Discount at Nila Aromatherapy Bar now! Time to stock up on those aromatherapy goodies! I am using a mosquito repellant of another brand now. I wonder whether this is sold in KL or not. I'm so scared of mosquitos as whenever I got bitten, it take a long time for me to recover from the bite and it often leave scar, therefore I used quite a bit of these repellent and of course nothing beats getting the repel from organic source. I hate mosquitoes....and I'm worried about getting a fever. I use a few mosquito repellents (most eletric ones) and I need to buy a spray so that I'm safe when I leave the house as well. It is a very interesting topic you re sharing and these products would be so useful for me where I live! For ,in the mediterranean regions we have many insects including mosquitoes.. Unfortunately I ve lost my pittbull the last year as he was stung by a mosquito.The mosquito was contaminated with the leschmanios virus! Even more is that the treatment can only be found in Europe, it is very expensive and is not effective.The virus is too strong and dangerous. It is painful and causes me bad skin reactions. I was just complained about mosquito while in the pool. And now is this! Yup. Heard about citronella is good to get rid of the mozzies. This is a good product. This is very useful product, specially here in India!! I will check out if it is available here!! Love that this is a natural repellant. Going to have to see if they sell something like this in the states. Thankfully we don't have issues like that here! I can't imagine the panic of possibly getting such dangerous disease! I love the idea of a natural repellent. We're heading to Alaska and will have to deal with mosquitos and black flies up there! These are the must have products. I'd much prefer these natural products over the chemical ones. Yes please. I am loving these natural products and in my house, the home grown lemongrass is also in a way or rather, keeping the mosquitoes away. Very interesting post! I really wanna try these products, since mosquitoes really kill me! Dengue's a problem for us too. I've been looking out for a mosquito repellent so that I can walk the park in the early morning with peace of mind. Will definitely look out for this! I prefer essential oils. Great review as always. This is a great product Shirley! My nephew had a Dengue once. These seem to be great mosquito repellent.